On this day March 7th in 1876 - 136 years ago - Alexander Graham Bell patented the telephone. 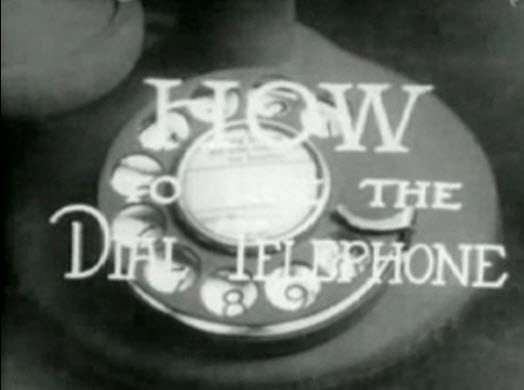 Interestingly, with the patenting of this world-changing technology an instructional black & white video was released in 1927 - a silent one at that, so pay close attention to the captions for this "Dialing for Dummies" instructional video. After all, dialing on a rotary phone is really hard! Wow, it's been 30 years since I used one. Dialing a rotary phone wasn't really hard, as long as you didn't try to be too quick and accidentally remove your finger too early. The trick was to always make sure your finger hit the metal stopper before releasing. Imagine your kids today trying to figure out how to use one. The famous grandpa quote used to be "Back in my day we had to walk to school, uphill, in the snow, while carrying a heavy load of books." Now it'll be "Back in my day we had to wait 1-3 seconds just for a single digit to rotate around the rotary phone and if you misdial, you have to hang up and start over. No backspacing the dialed number!"